This week’s article focuses on anti competitive conduct. It higlights the importances of understandings, agreements on certain business practices that limits competition in market. Anti-Competitive Conducts are certain business practices that limit or prevent competition in market and are deemed illegal under Competition Law. It refers to a wide range of business practices in which a firm or group of firms may engage in an understanding, agreements or covenants in order to restrict inter-firm competition to maintain or increase their relative market position and profits without necessarily providing goods and services at a lower cost or of higher quality. These understandings, agreements or covenants do not necessarily have to be in writing. Nothing need, even be expressed—a ‘nod and wink’ is sufficient. 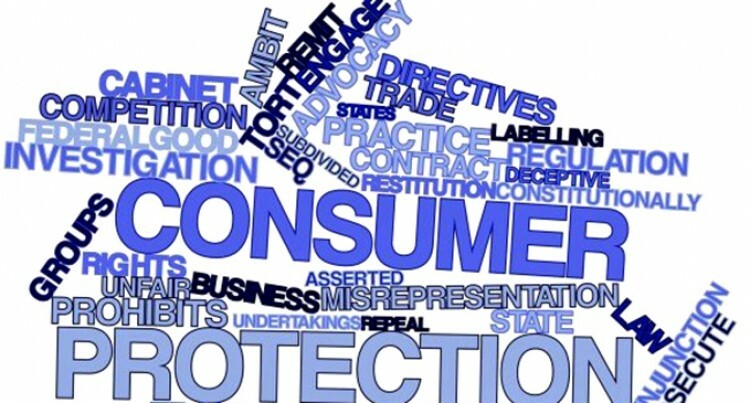 Anti Competitive Conduct is covered in Section 67 of the Commerce Commission Decree 2010 (“CCD2010”) and is per se a Restrictive Trade Practice. Section 67 of the CCD 2010 restricts a person or a trader from engaging in an anti-competitive conduct. A person engages in an anti-competitive conduct if the person has substantial degree of power in a market and takes advantage of that power with the effect or likely effect of substantially lessening competition in that or another market. Anti-competitive practices are sometimes known as restrictive practices. They are methods used by firms in a market to restrict competition. Incumbent firms often control access to facilities that are essential inputs in the supply of services at the retail level. Competing retailers depend on the incumbent for access to the essential facility. Incumbent firms may attempt to prevent competitors from entering the market by refusing to provide access to an essential facility, withhold information or imposition of excessive pricing regime. To encourage competition, many jurisdictions require firms with control over essential facilities to provide access to competitors. Rules may also determine the way in which access prices will be agreed, and procedures for resolving any disputes. A vertically integrated firm is one that controls the supply chain at various functional levels. For example, a manufacturer of timber also operates a hardware and timber yard and supplies the timber to its competitors as well. ρ Engages in a discriminatory price practices between its own downstream operation and the competitors to the extent of lessening competition. It is a pricing strategy used by an established firm to eliminate competition from equally efficient firms, and secure a dominant position in a previously competitive market. A firm practicing predatory pricing lowers its price below cost and maintains it there until equally efficient competitors are forced to incur unsustainable losses and exit the market. The firm then raises its price to a monopoly level in order to recoup its lost profits. Predatory pricing is a risky strategy. The firm involved incurs high up-front losses, with no guarantee of future gains from monopolization. The strategy will only be profitable if, once all competitors have been forced out of the market, the incumbent is able to raise its prices to a monopoly level and keep them there. If the firm is subject to either direct price regulation or some other form of control, predatory pricing is unlikely to succeed. Predatory pricing requires high barriers to entry. If firms are able to enter the market easily, then each time the incumbent increases its price this will attract new entrants into the market, forcing the incumbent to drop its price again. Tying of services occur where a service provider makes the purchase of one product or service over which it has market power (the “tying good”) conditional on the purchase of a second, competitively supplied, product or service (the “tied good”). By tying services, a service provider can try to use market power in one market to give itself an advantage in another competitive market. Customers who opt to buy the tied good from a competitor cannot find a feasible substitute for the service provider’s tying good. ρ If the tying product is regulated and the regulated price is below the service provider’s profit maximizing level. In this case, a successful tying strategy would enable the service provider to increase its overall profitability by increasing the price of the tied good. Service Bundling occurs where a service provider offers two or more services separately, but gives a discount to customers who purchase the services as a combined bundle. Bundling is common especially in telecommunications and other multiproduct industries, reflecting both cost savings from producing services jointly, and consumer preferences for service bundles. A cartel exists when businesses agree to act together instead of competing with each other. This agreement is designed to drive up the profits of cartel members while maintaining the illusion of competition. ρ Controlling the output or limiting the amount of goods and services available to buyers. Cartels can be local, national or international. Established cartel members know that they are doing the wrong thing and will go to great lengths to avoid getting caught. Suppliers must not put pressure on businesses to charge at a recommended retail price or any other set price and threaten to stop supplying re-sellers. Suppliers also cannot pressure re-sellers to stop advertising, displaying or selling goods supplied by the supplier below a specified price. For example, a Supplier of Good A may decide to mark the Recommended Retail Price as $2.50 a unit. What the Supplier cannot do is to refuse to supply if a trader decides to sell at a price lower than $2.50. ρ unduly limit product variety profit. For more information/details on Fiji Commerce Commission and Commerce Commission Decree 2010, visit our website on www.commcomm.gov.fj or join us on Face book as Fiji Commerce Commission.